This new unique art installation was created for Bauhaus Restaurant which is located in Gastown, one of Vancouver’s older neighbourhoods. Stretching 10 feet across a textured concrete wall “The Experience” stands as a perfect backdrop to the modern and minimalist decor. 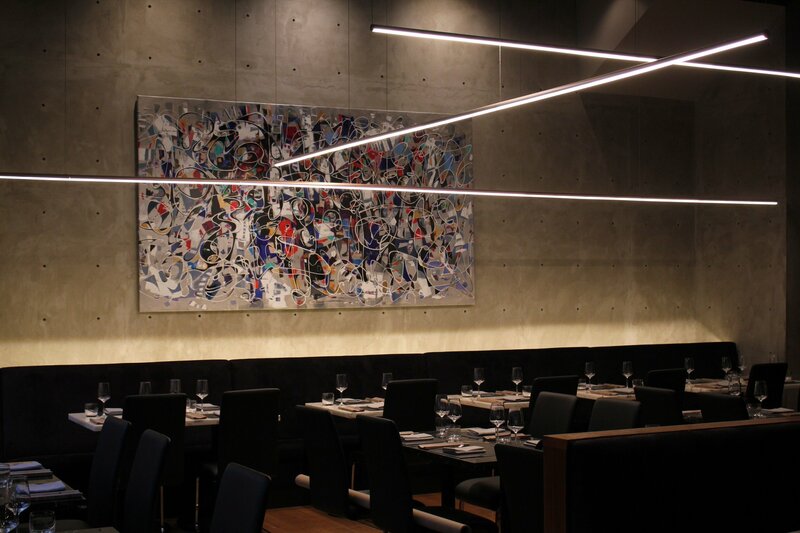 Paul wanted to bring energy into this special space with an abstract composition that draws Bauhaus’s clientele into a synthesis of color, texture and free flowing lines. Expressive and gestural in their execution, Paul Ygartua’s abstract paintings are a combination of free flowing movement and palette work. The title was chosen “The Experience” as it is a reflection of the artist’s raw emotion and internal sense of freedom. 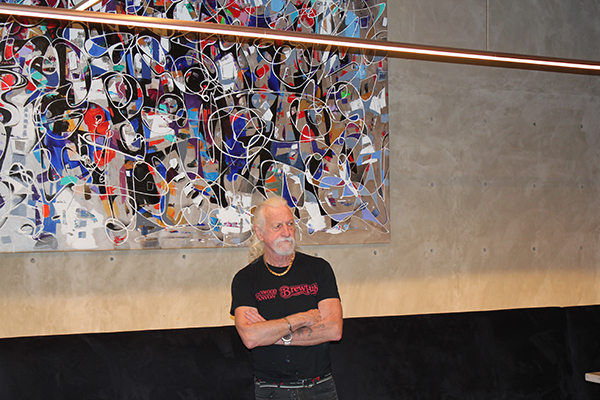 We are thrilled to have one of Paul’s large abstracts in this beautiful space. 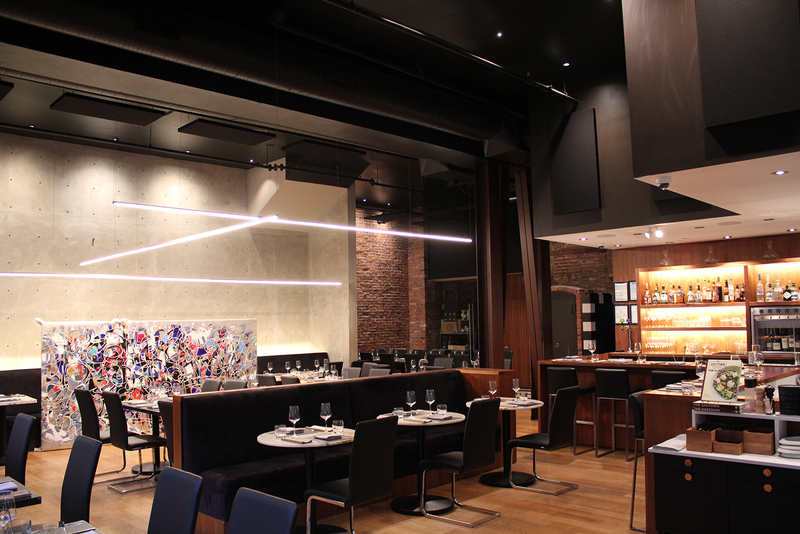 “The restaurant features a modern and minimalist space designed by Vancouver designer Andrea Greenway, with brick, steel columns, and marble, along with leather, tubular steel, and dark wood, and offers a dining room, large lounge area, and open-concept kitchen. If you want to be inspired make a booking at Bauhaus for the amazing culinary experience and take in the full complexities of this oeuvre d’art called “The Experience”. 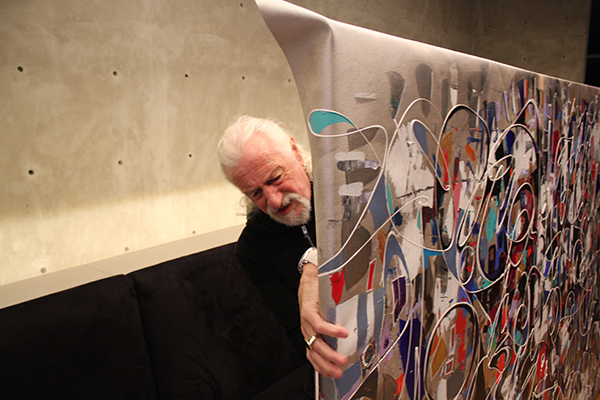 Read more about this installation on our blog here or visit our online Gallery WALL90 for more of Paul’s abstract art. Special thank you to both Uwe Boll and Natalia Boll for making this possible. The human brain is like a puzzle and it is always putting together pieces. 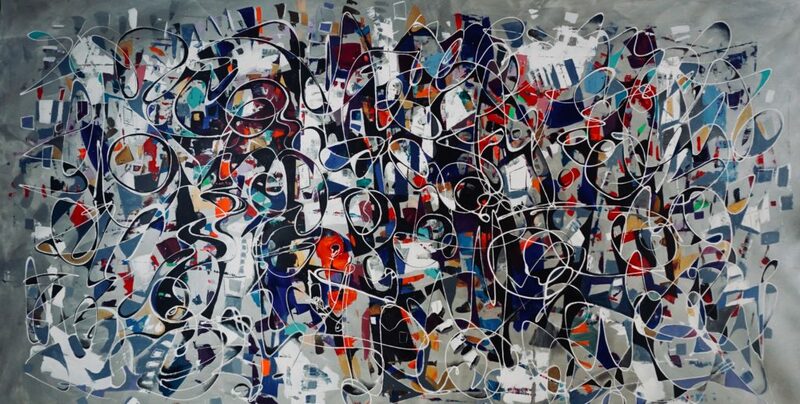 The brain likes to solve jigsaws and this new abstract style by Paul Ygartua reflects this urge we all have. This new abstract style is a mosaic of colour with never-ending movement creating a maze of intrigue. The free-flowing movement of one continual line brings back the simplicity we once had compared to today’s over-engineered art styles. Paul Ygartua believes that his spontaneous action when creating a continuous uninterrupted movement of line and colour creates a mosaic of definition between light and dark separated by a continual linear concept. The Experience is a liberating feel of free expression and physical participation. The style has evolved through many years of experimenting and developing other techniques, eventually by combining them Paul has created this new development in his abstractions. 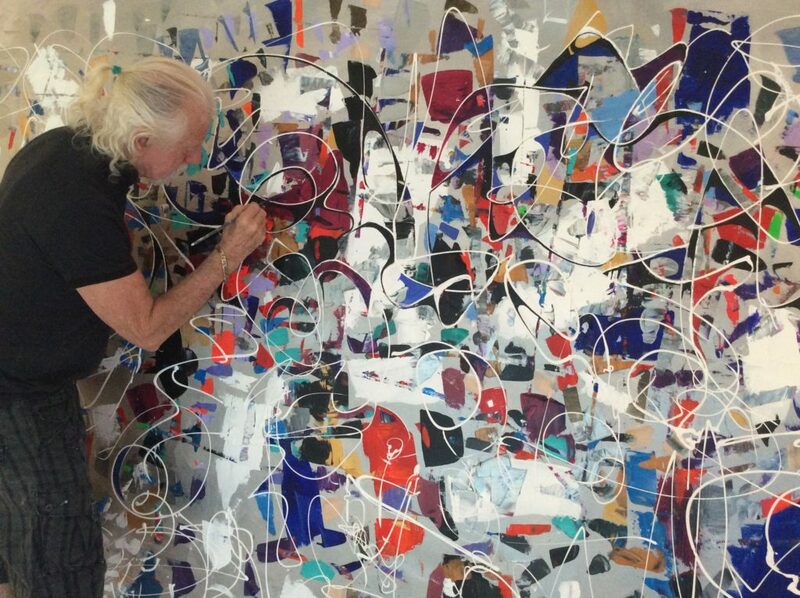 The latest installation at The Bauhaus Restaurant has given Paul the opportunity to work with one of his largest canvas to date – 10 ft x 6 ft.
Love you work, you are an amazing artist. Thank you Paul and Joanne for your news letter. Nice to get an up to date of your creations. Excellent job as always . Totally love the work ! – but it should have been way bigger!